Pilate believed Jesus was innocent, but had him flogged! It was a political move for Pilate. It was torture for Jesus. Having your back beaten and chunks of skin ripped out each time the whip struck was horrific punishment. Pilate thought the flogging would appease the blood-lust of the mob. It did not. Instead, flogging Jesus only set the stage for worse tortures that would be inflicted on him. So often, we read about people who have been touched by a disaster or a catastrophe. Because we don't know these people, the reality of their suffering doesn't really register. However, Jesus knows their suffering and their pain! They are not just faceless names on another casualty list to Jesus — they are very real, individual people; Jesus knows about them! 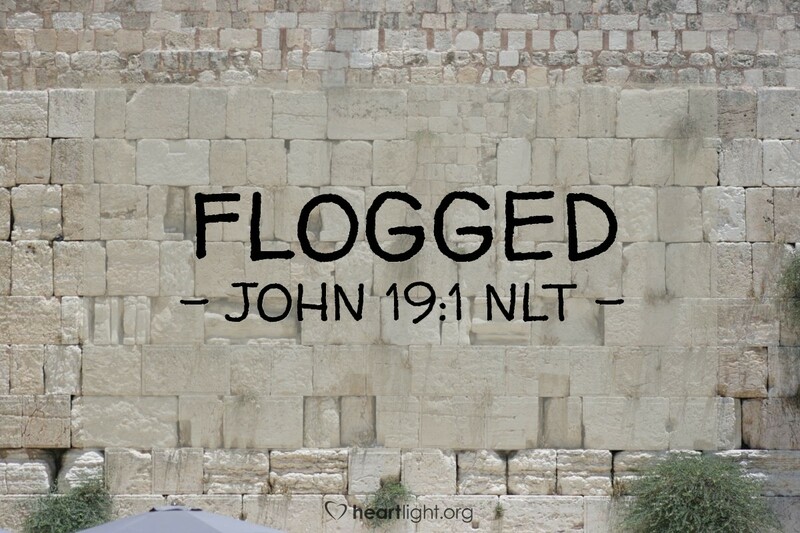 And when we are those faceless unknown sufferers to thousands of others, we can be assured that our hardships and anguish matter to the one whom Pilate had flogged! Holy God, thank you that you know me. Thank you that you care personally for me and my pain, suffering, struggles, temptations, tragedies, hurts, illnesses, anxieties, wounds, and weariness. In a world where I often feel like just a number, I thank you that I am always intimately and personally loved by you. I offer you my thanks in the name of the one who personally loved each individual he met, Jesus. Amen.